This week started with driving back to Flagstaff from our family vacation in Santa Barbara. 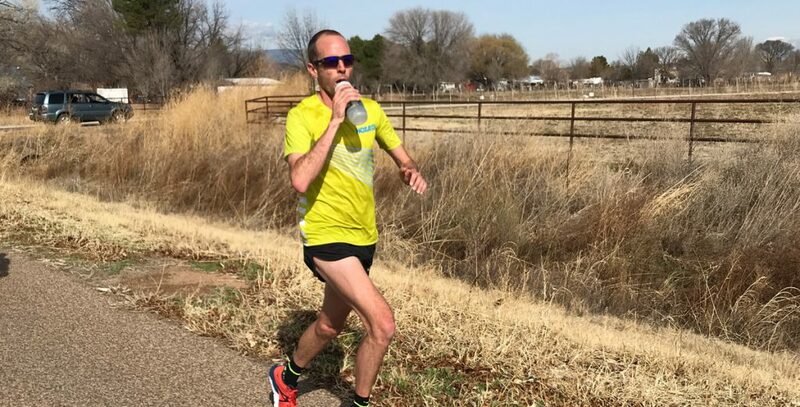 After my failed workout on Sunday, part of my conversation with Coach Ben afterward was strategizing what way to maximize recovery to be prepared for hard workouts this Wednesday and Saturday while negotiating the long drive back home and how tight it had made me on the way out. 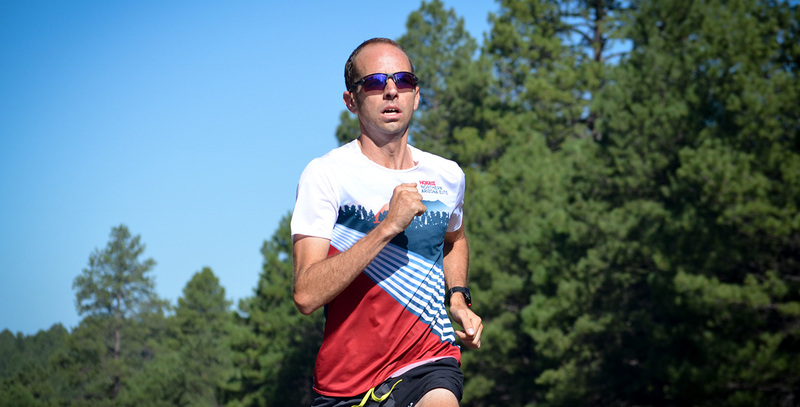 We decided that rather than just doing one easy run in the morning and then driving like we had done on Friday, we would split that day into a double, 8 miles in the morning and 4 miles in the evening in Flagstaff. I knew that 4 miles wouldn’t be fun (it wasn’t) but I think the shorter run in the morning helped keep my body from becoming as tight as it got on the drive out; and it probably also helped that we made better time; coming back in 8.5 hours compared to the 9.5 it took to get out there. The Santa Barbara vacation was a ton of fun, but it was pretty nice that Tuesday I was back to a normal routine in Flagstaff. I did an easy 10 + 4 mile double with drills and strides to prepare for Wednesday’s workout. 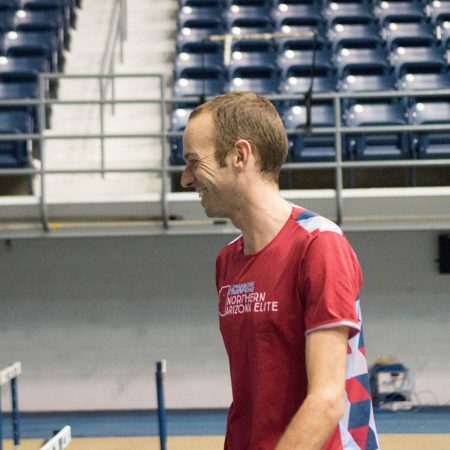 We met Wednesday morning at the NAU track to do a tempo run, and then some repeats after for good measure. The tempo was 4 miles, but involved pace changes. 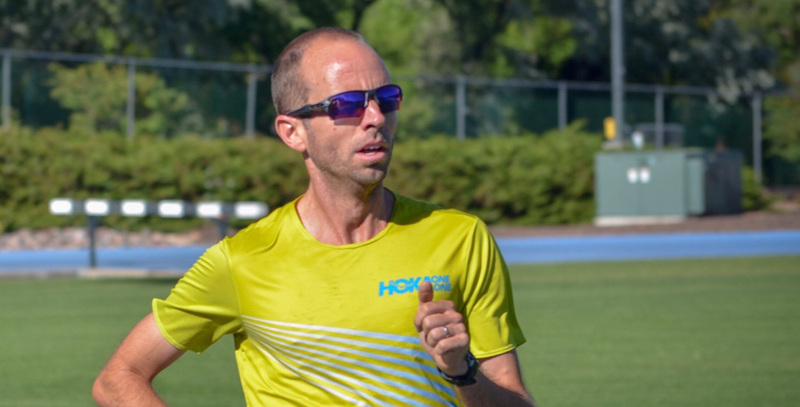 Normally we would do our tempo run on a road, but with the pace changes involved, we moved it to the track so we’d be able to check quicker and more frequently if we were on the correct pace when we did change it. That, and having Ben Bruce, Scott Fauble and I all doing it together and sharing the lead, helped us nail this part of the workout. We ran the first mile in 5:05, then the next 2 miles alternated each 800 between 2:20 and 2:40. Then we wrapped it up with a 5:00 final mile. I was happy to get through this section of the workout, especially after struggling in my last workout on Sunday. After a 5 minute rest, I finished up with 5 times 600 in 1:44 average. Ben Bruce helped a lot by pacing me through the first 400 of each rep. I took 200 jog in between each; and was really happy that I felt pretty strong and comfortable doing each one. I even thought about asking Coach Ben if I could do one or two more, but I remembered I’d have plenty of bigger workouts down the road, no need to do extra right now! I finished the day with a nice slow 4 mile second run to get 16 miles for the day. Thursday was another easy double day, with weights in between. 10 in the morning, 1 hour at HYPO2 mid-day, and 5 in the evening. We’ll start bumping the mileage just a little bit by turning 4 mile second runs into 5 miles. 1 mile doesn’t make that big of a difference, right? 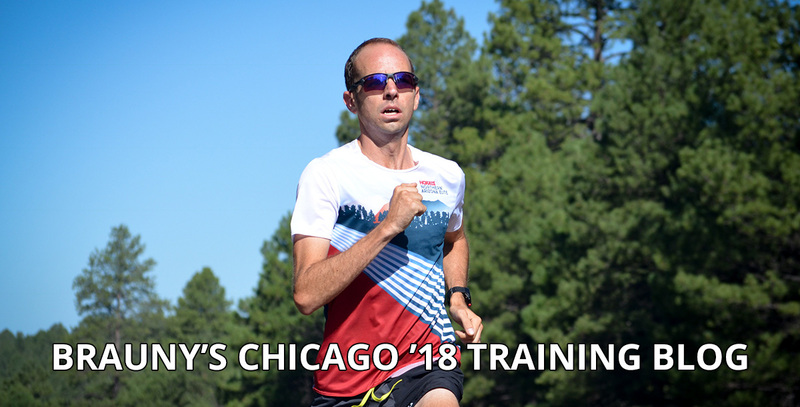 Luckily, I didn’t feel too different for me Thursday or Friday when I did a 10 + 5 mile double, and met Coach Ben for drills, strides and plyos in preparation for Saturday’s long run. Saturday was 24 miles with a “push” from miles 18-22 at marathon effort. 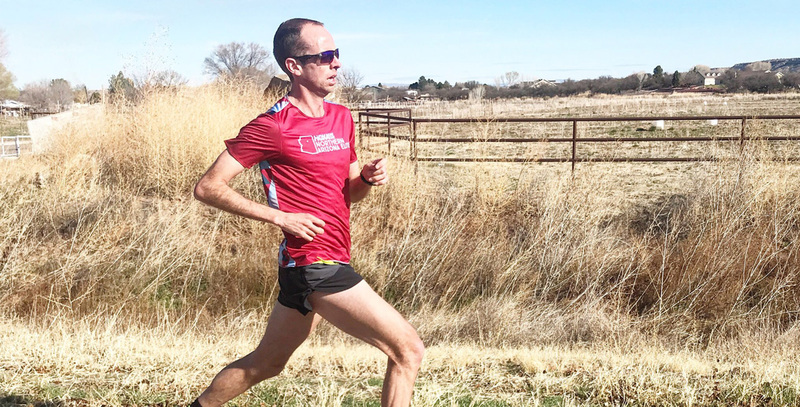 This was one of the newer workout concepts we had talked about as a team a couple months ago when talking about the training for our fall marathon season. I’ve always been a big proponent for “time on feet” long runs. Assign a time or distance, and just go out there and run long. The big benefit is that it’s another chance to listen to your body and see just how hard or easy you should go that particular day. This day was like that, but with the “push” from 18-22 miles thrown in as a way to get used to running the faster marathon pace well into a run when your legs are pretty tired already. I ran with a small group including Scott Smith and Ben Bruce to start the run. Ben did 16 miles, Scott had 20. Scott was feeling pretty good so decided he would do the first 2 faster miles with me to finish his 20 mile day. We got to 18 miles in 2:03:30, not very fast, but it had been a pretty hilly run, and I know I was purposely holding back a bit knowing I had this 4 mile push coming up. I also wasn’t feeling very good those first two hours, still feeling some tightness from the workout Wednesday and weights Thursday probably. Coach Ben never assigned a pace for the push, but by now I’ve learned that “marathon effort” on Lake Mary Road roughly translated to about 5:15 pace. He told us not to worry about hitting pace right away, with 18 miles in our legs we might have to work into it. I was relieved though (and quite surprised) that our first quarter mile was in 75 (5:00 pace). It was nice to slow down a bit, and try to run the pace as relaxed as possible. My legs felt pretty tired just about the whole 4 miles, and my breathing definitely got pretty labored the last 2 miles; but it was a huge confidence boost to run splits of 5:16, 5:19, 5:15 and 5:11. I could tell Coach Ben was very excited about it as well. Knowing that I can continue to run at that fast of an effort late into a run is a big confidence boost while preparing for a marathon. I cooled down a miserable 2 miles to finish my 24 mile day, and was utterly useless trying to recover the rest of the day. I finished the week Sunday with another slow and tiring 10 + 5 double to get to 111 miles for my weekly total. 7 weeks to go!